The caller asked R Jayalakshmi her bank account details, saying that her ATM card had expired, when she hesitated the caller claimed she would lose all her savings if she did not give him the details. 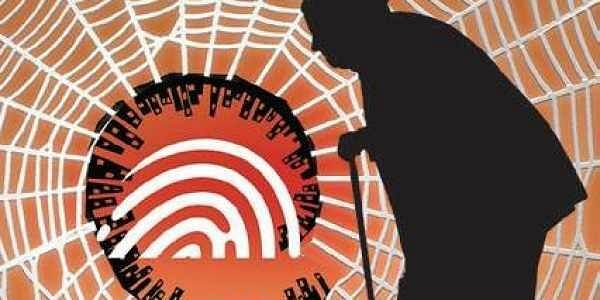 CHENNAI:A 71-year-old allegedly died of cardiac arrest after learning that Rs 90,000 was swindled from her by conmen who called up and duped her into providing her Aadhaar and bank account numbers, besides the OTPs she received on her phone. R Jayalakshmi, a resident of AF Block in Anna Nagar, suffered chest pain on Saturday when she was lodging a complaint at the Thirumangalam police station. She was taken to a nearby hospital and died on Sunday, her relatives said. Her nephew R Mahalingam said she received a call around 2.30 pm on Friday, with the caller asking for her bank account details, saying that her ATM card had expired. While Jayalakshmi hesitated, the caller claimed she would lose all her savings if she did not give him the details. “She then told him her Aadhaar and bank account numbers,” said another relative. “The person called repeatedly — more than seven times — to ask for the OTPs.” Her relatives said everything happened within half-an-hour and she was unaware that money was being siphoned out of her account repeatedly. An hour later, a bank official who grew suspicious called Jayalakshmi and informed her that Rs 90,000 has been transferred out of her account. Jayalakshmi called Mahalingam and both of them met the concerned bank branch manager on Saturday. “Even as we were getting ready to go to the bank on Saturday, we got a call from the same number and I attended it. The caller again wanted me to tell him the new OTP and said he would transfer back the Rs 90,000 only if I tell him the number again,” said Mahalingam. Jayalakshmi and Mahalingam later went to the Thirumangalam police station and filed a case. At the police station, she suffered chest pain and was taken to a nearby private hospital. Her relatives say she did not had any other health issues other than diabetes. On Sunday morning, however, the doctors said she died of a cardiac arrest in the hospital.Jayaraj S, a branch manager of the same public sector bank told the Express, that bank frauds are increasing these days and that is the reason why the bank staff repeatedly tell the new card holders not to reveal the bank details. “The staff who go through the transactions of the day might have had a doubt when they noticed the pattern of withdrawal was not consistent. Further, the age was another factor that made them suspicious,” he added.